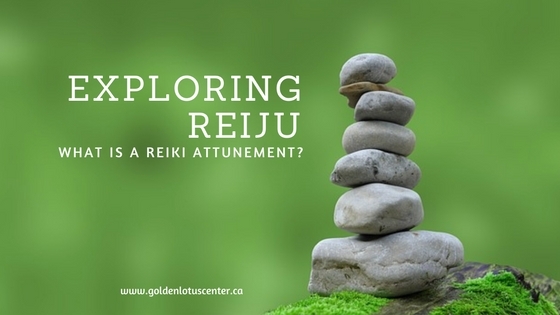 A Reiki Attunement, also known as Reiju, can be described as a sacred ceremony that blesses and initiates the reiki students, while opening, clearing, balancing and aligning their chakras so they can channel reiki energy going forward. It marks the beginning of our journey with reiki. The attunements are given during a reiki class, led by a certified Reiki Master. Reiju are profoundly healing, and reintroduce us as practitioners to the Divine light within us, which is our true nature. It is important to note that the reiki attunement process, while necessary, is only one part of learning and practicing reiki. Reiki practice is like anything else in our lives– we can only get out of it what we put into it. We can strengthen our connection with Reiki through things like daily self-reiki practice, gassho meditation, honoring the reiki precepts and using our other reiki tools. What Happens During the Reiki Attunement? I have my students meditate while seated on chairs, after smoke cleansing with palo santo wood to clear our auras and the energy of the space. The room is also specially prepared using reiki to be protected and safe for us during the attunement process. I meditate to ask the healing reiki energy to flow through me and guide the attunement process, safely and appropriately, for myself and all of the students, and invoke Divine protection, assistance and guidance. The students meditate with their eyes closed while I complete the remaining steps, and when it is completed, they are allowed to continue meditating as long as they’d like, with time provided for journaling afterwards. Every attunement is a different experience and every student will feel different sensations while they receive their reiki attunement, but the most common experiences reported are sensations of cool, tingling energy or heat moving through different parts of their body, a feeling of energy moving and re-balancing itself within them, and some see colours or experience visions. Spirit guides and angelic guardians may be felt or perceived, although the experience is not always this dramatic, and does not need to be in order to be beautiful, healing, and entirely perfect. After receiving a reiki attunement, most people feel very calm, peaceful, balanced and have a sense of clarity that remains with them for some time after the class. Deep insights may surface, and areas where we have been stuck may come to the surface of our awareness to be lovingly observed, accepted, and released. What about Reiki Healing Attunements? There is a special kind of attunement known as a healing attunement that can be given to anyone, not just those wishing to become reiki pracititioners. The healing attunement harnesses the massive amounts of spiritual energy that are normally used to open and activate the ability to work with reiki in a student, and uses these energies to deeply cleanse and heal the recipient’s energy body. They can be applied with great success for specific intentions such as healing an addiction, eliminating unwanted character flaws, focused healing for physical conditions, or general healing and well-being. The experience of receiving a healing attunement involves sitting in Gassho meditation while the Reiki teacher goes through a series of steps that work directly with your energy body and chakras in a specific way. If you are feeling called to learn reiki, look for a qualified teacher that you feel a rapport with near you. If you are based in the Edmonton area, you can learn more about the classes I offer and the upcoming course dates here, or feel free to contact me to discuss learning to practice. Quality training should include a certificate, manual, lineage tracing back to Mikao Usui, Attunement(s), time to practice on yourself and eachother, meditations, and plenty of opportunity for dialogue and questions about what you are learning. Learning reiki is an investment in your health and well-being that will continue to bring benefits for the rest of your life, and the attunement process is a beautiful and memorable experience that opens us as practitioners to rediscover our inner light and begin working with Reiki energy in a conscious and divinely guided way. I trust this has been helpful for you. Next: Next post: What Makes Our Reiki Training Different?